Paleo, AIP, Whole30, or Primal? How to Choose the Best Option for You. 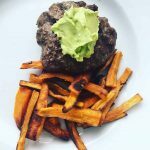 Paleo, The Autoimmune Protocol, Whole30, and Primal. 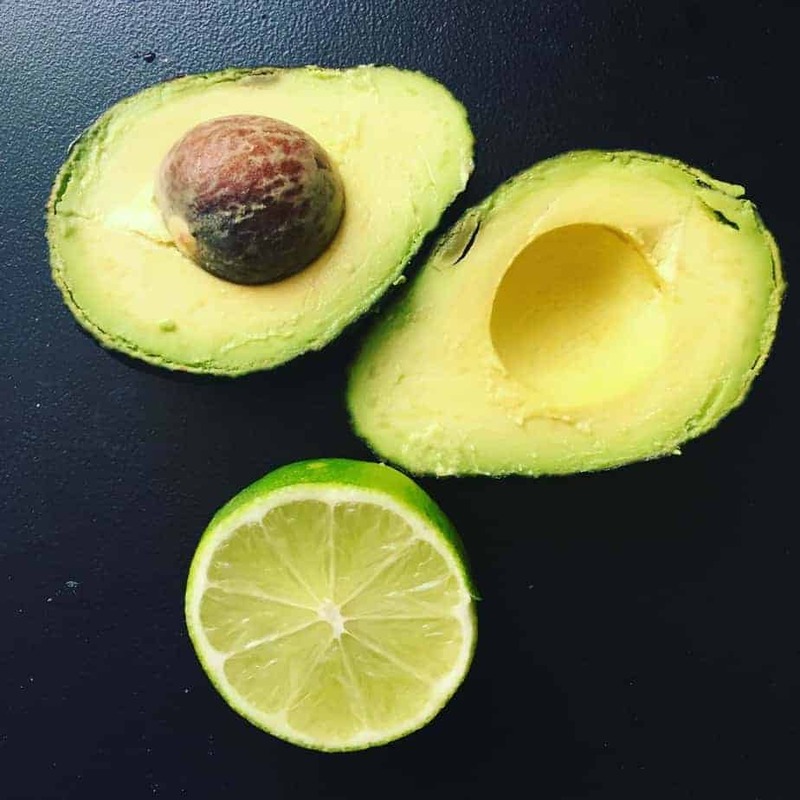 You’ve probably heard of all these when reading about the best autoimmune diet, but do you know the difference between them? There are many similarities, but it’s subtle differences you should pay attention to when choosing the best autoimmune diet for you. This is especially true for those with food sensitivities. The autoimmune diet you choose will directly impact your wellness and your symptoms. Thankfully, no matter which option you choose or have already chosen, it will be healthier than the Standard American Diet (SAD). I have read the foundational books for each of these approaches, so the information provided in this post comes directly from the leading authorities on the topics. By the time you finish reading, you’ll understand the purpose of each of these diets and the information necessary to make a decision as to which approach might be best for you, because the best autoimmune diet is the one that works for you. This post contains affiliate links. Click here to read my disclosures. 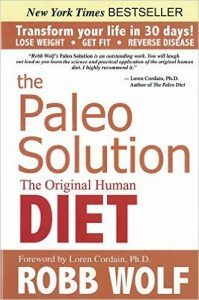 Since the AIP and Whole30 programs are variations of the Paleo approach, let’s start with Paleo. I’ll tackle Primal a little later. click here to read more about this foundational book. Paleo is a long-term diet. This is a way of eating for life. Paleo is a very popular autoimmune diet for many. The top two offenders: dairy and grains (and as a result, gluten) are not allowed, therefore, many find relief when following a Paleo diet. The Paleo diet is the healthiest way you can eat because it is the ONLY nutritional approach that works with your genetics to help you stay lean, strong and energetic! Research in biology, biochemistry, Ophthalmology, Dermatology and many other disciplines indicate it is our modern diet, full of refined foods, trans fats and sugar, that is at the root of degenerative diseases such as obesity, cancer, diabetes, heart disease, Parkinson’s, Alzheimer’s, depression and infertility. 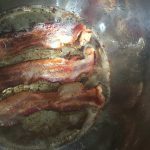 One of the common misconceptions is that the Paleo diet involves eating bacon and red meat all day every day. This is not true, as the focus is to improve health by increasing nutrients, which requires eating fruits, vegetables, nuts, and seeds as well. 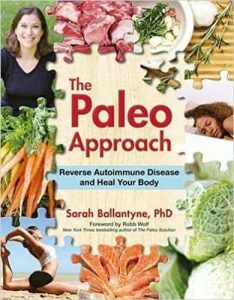 Click here to read more about using the Paleo approach to heal your body. The Autoimmune Protocol is a specialized version of the Paleo diet, an elimination diet designed to help identify food sensitivities, which can impede our ability to heal. 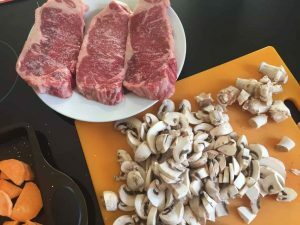 For many, a Paleo approach will bring about relief and improvement, at least initially, but for others, an elimination diet is necessary to rule out foods that, while allowed on Paleo, may still be problematic. This is where AIP comes in. This diet is intended to be followed for a few months, then foods approved for the Paleo diet, but excluded from the protocol can slowly be re-introduced. The goal of the Autoimmune Protocol is to flood the body with nutrients while simultaneously avoiding any food that might be contributing to disease (or at the very least interfering with our efforts to heal). It is an elimination diet strategy, cutting out the foods that are most likely to be holding back our health. After a period of time, many of the excluded foods, especially those that have nutritional merit despite also containing some (but not too much) potentially detrimental compounds, can be reintroduced. This autoimmune diet is challenging but very beneficial for those looking to uncover food sensitivities so common and problematic, especially for those with autoimmunity. Whole30 is also a specialized, short-term approach that involves removing problematic foods for thirty days. It’s considered a reset. It is strict, but many foods not allowed on AIP (nightshades, coffee, for example) are okay here as long as they are whole foods. A driving philosophy is- The fewer ingredients, the better. Whole 30 is often referred to as, “Paleo with potatoes,” but that is too simplistic. Certain food groups (like sugar, grains, dairy and legumes) could be having a negative impact on your health and fitness without you even realizing it. Are your energy levels inconsistent or non-existent? Do you have aches and pains that can’t be explained by over-use or injury? Are you having a hard time losing weight no matter how hard you try? Do you have some sort of condition, like skin issues, digestive ailments, seasonal allergies, or chronic pain, that medication hasn’t helped? These symptoms are often directly related to the foods you eat—even the “healthy” stuff. So how do you know if (and how) these foods are affecting you? Strip them from your diet completely. Eliminate the most common craving-inducing, blood sugar disrupting, gut-damaging, inflammatory food groups for a full 30 days. Let your body heal and recover from whatever effects those foods may be causing. Push the reset button. The idea here is to reset your body. This is a great starting point before transitioning to a traditional Paleo diet if you are already aware of food sensitivities. Click here to read more about The Primal way of life. Primal is a lifestyle where diet is just one piece of the puzzle. The lifestyle involves eating whole foods, engaging in restorative exercise, sleeping enough, getting outside, and avoiding spending too much time in the digital realm. Sounds good, right? 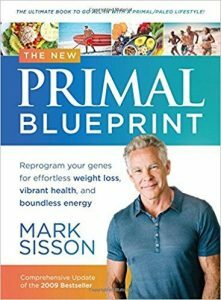 There are many similarities between the Primal and Paleo dietary principals, but Primal is much less rigid. In addition to Paleo-approved foods, the diet allows for full-fat dairy, legumes, coffee, nightshades, and whey protein if one is able to tolerate such foods. 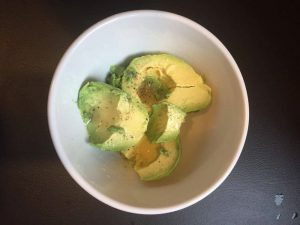 When you get past the contrary position on coffee, the legume agnosticism, and the stances on potatoes and nightshades and dairy, there aren’t a lot of differences between paleo eating and Primal eating itself. The biggest difference is in the name: the paleo diet is a diet, while the Primal Blueprint is a lifestyle. You’ll often hear “make it a lifestyle shift, not a diet,” and it’s great advice. Diets don’t work. They come with built-in endpoints, “goal weights” that, once reached, people use to justify quitting. This is an approach that still leads to much healthier eating and a better quality of life but is problematic for many with autoimmunity if not altered or customized. AIP and the Whole30 are short-term Paleo adaptations with restrictions designed for specific purposes. These diets are followed short term to identify problematic foods. One returns to the Paleo diet for the long term. Primal is a lifestyle incorporating a less rigid version of the Paleo diet philosophy. Subscribe (Free!) for the password! Success! Now check your email to confirm your subscription. The password to the library is lotus -- copy and paste that into the resource library. Your email confirmation also contains this information. I keep adding to the Free Resource Library regularly, so be sure to visit! 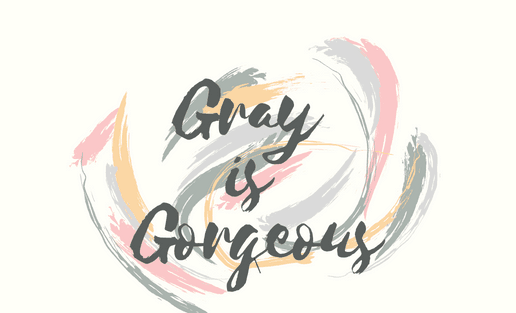 https://grayisgorgeous.com/library/ The password is: lotus Thank you for being a subscriber! I appreciate you. 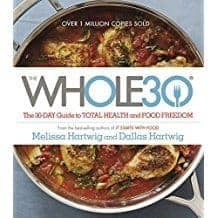 After reading all of these books (and others), trying several anti-inflammatory diets including AIP and Whole30, eliminating and re-introducing foods, and much trial and error, I have finally found an autoimmune diet that works best for me. It is basically a hybrid: a nightshade-free combo of Whole30 and Paleo with a little Primal thrown in for good measure. Confused? Hopefully not for long. I start each weekday with a shake made from a powder containing whey protein isolate, which although contains only the slightest trace amounts of lactase, is not Paleo, but okay for Primal. 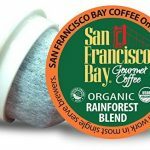 Coffee is controversial with some Paleo followers but is a big part of the Primal lifestyle. I drink at least one cup every morning. I add stevia to my coffee, which is not Whole30 approved but is Paleo compliant. 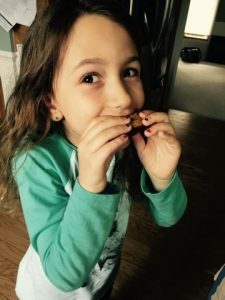 Additionally, I avoid “paleofied” products like the bread and muffins made with approved ingredients (even though I bake them for my daughter) and unrefined sugars like maple syrup, which is more of a Whole30 philosophy, since unrefined sugars are allowed on the Paleo diet. I avoid nightshades included in the Whole30, Paleo, and Primal approaches. I consider mine to be a Paleo diet, but more of the 90/10 approach due to my Primal breakfast choices. Finding the right autoimmune diet for you will take time, so be patient. What is most important is finding what works for you. Many foods, even those included in all natural approaches, can still cause inflammation in those with sensitivities. Please feel free to contact me with further questions about autoimmune diet and food sensitivity and be sure to subscribe to my email list to have anti-inflammatory recipes delivered right to your inbox. CLICK HERE FOR My FRESHEST RECIPES AND MORE. 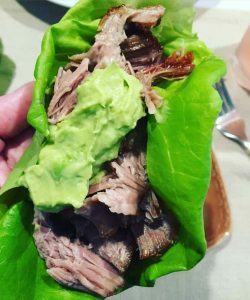 Whether you are new to Paleo or are just looking for new recipes, you this recipe for Paleo Instant Pot Kalua Pig in your life. This is a killer recipe. It is so simple, yet yields the most succulent pork imaginable. 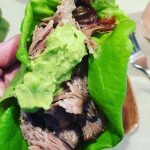 Paleo Instant Pot Kalua Pig popped up on my Paleo meal plan one day and has been in our regular rotation ever since. It is Paleo, Keto, Whole30, and AIP compliant. 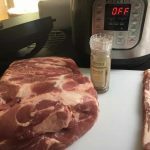 You only need a handful of ingredients (two of which are pork and bacon), and because you are making it in the instant pot, it takes care of itself, so how can you go wrong? Sign up below for access to my FREE Resources Library and get my 5 Hacks to Rock your Instant Pot. 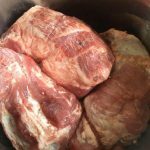 You will end up with a delicious pile of porky goodness so versatile that you will use it in soups, frittatas, and more. Heck, I sneak it cold right out of the fridge! Sometimes I toss my Instant Pot Kalua Pig on top of a pile of mashed cauliflower, but I also love it in bib lettuce, taco style. It’s delicious topped with my speedy smooth guacamole. 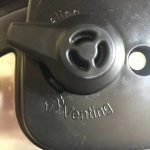 *If you don’t have an instant pot yet (you will if I have anything to do with it) you can easily make this in the slow cooker (she includes directions for both methods). I made this in the crockpot initially, but when Michelle from Nom Nom Paleo posted the instant pot instructions I switched over immediately (of course). 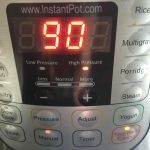 I love my instant pot. The more I use it, the more I love it, too. you will probably get sick of hearing about it. Click here for the recipe (I do not use the garlic she recommends). 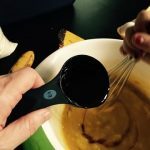 Why am I only providing a link and not the entire recipe? Too often I see the same recipes (the exact same, mind you) with a variation on the name, or maybe a different picture- with each author publishing it as their own. Authors should receive credit for their work. I like to offer reviews of existing recipes for those like me who pin with reckless abandon, yet fear actually making what they have pinned. That fear of the unknown is debilitating. 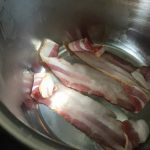 I want to offer up recipes that I know are good, whether I create them or not. Tha being said, I know this one is good. Very good. 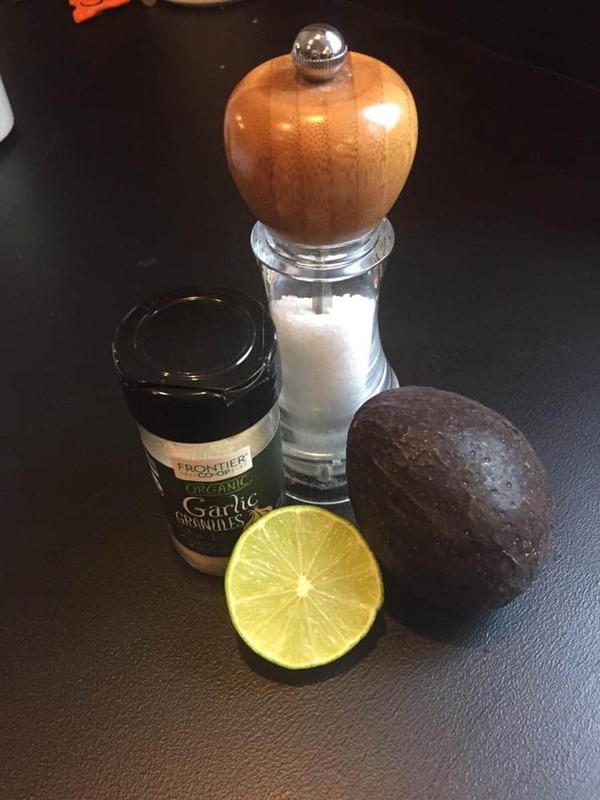 Do yourself a favor and buy Michelle’s book, get her app, sign up for Real Plans so you can add on her recipe package, and make this recipe as soon as possible. You will thank me, I promise. Click here for more yummy instant pot recipes like this one. If you are Looking for the best Paleo banana muffins, you have found them. 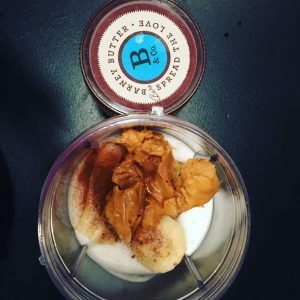 The chocolate chips are optional, but we really enjoy the banana/ chocolate flavor combination. 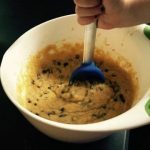 This is an especially good recipe for those with nut allergies seeking an alternative to almond flour versions so frequently found in Paleo and gluten-free cookbooks. We have to be careful with all baked goods, even gluten-free versions, because of my daughter’s anaphylactic peanut allergy. 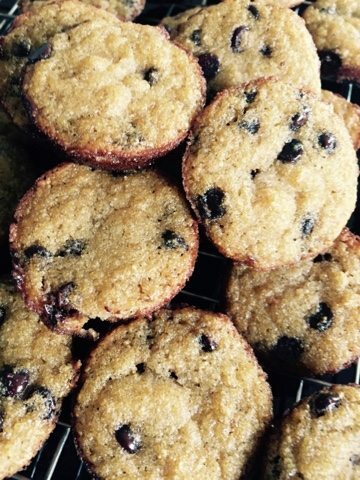 We do most of our own baking, and I am always on the lookout for quick, tasty, healthy alternatives to our old favorites. This recipe for Paleo banana chocolate chip muffins is a perfect example. 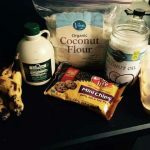 These Paleo banana chocolate chip muffins are the result of trial and error and a combination of several recipes we tried. Get 60 Gluten and Dairy Free Recipes- FREE! Subscribe now for my FREE ebook filled with 60 gluten, dairy, refined sugar, and nightshade-free recipes! Success! Now check your email to confirm your subscription. The password to my Free library is lotus -- copy and paste that into the resource library. Your email confirmation also contains this information. We use these paleo banana chocolate chip muffins most often as an afternoon snack. We freeze the whole batch each time and take them out as we need them, adding to the lunchbox frozen, knowing it will thaw in time for snack time at aftercare, or tossing in the microwave for a few seconds when we’d like a warm one on the spot. These tasty little morsels have become a favorite among family and friends. Anyone I have shared this recipe with loves it. My dad, who does not tolerate baked goods well (causes blood sugar imbalance) eats these almost daily with no issues. 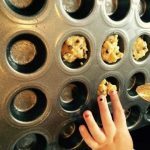 Let me know if these Paleo Banana Chocolate Chip Muffins become a favorite with your family as well. Crack the eggs into a bowl and whisk them well. Add the maple syrup and vanilla to the banana/ egg mixture. Add the melted coconut oil. Mix your dry ingredients together in a separate bowl. Add the dry ingredients to the wet ingredients and mix well. Fill the tins. You can fill them fully because they don't rise very much. The batter will seem very thin at first, but will thicken upon standing. These freeze beautifully! We freeze them right after they have finished cooling completely. We take them out as needed and place in the microwave for 15-20 seconds. Are you curious about diet and autoimmunity? You’ve probably read or heard that there are no proven connections between diet and autoimmune symptoms, but countless testimonials and personal experience tell me otherwise. I’ll share my autoimmune diet below. I have tried many dietary approaches over the past four years. I started by eliminating gluten and dairy. When that wasn’t enough to improve my autoimmune symptoms I looked into the Paleo diet, AIP, Whole30, and Primal diets because they kept coming up during my research. Read my post on how to tell the difference and how to choose which one might be best for you. 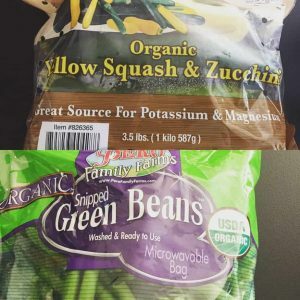 I explain my autoimmune diet further in that post as well. I avoid gluten, grains, dairy, beans, nightshade vegetables, refined sugars, and processed foods. So essentially, I follow a modified Paleo diet. 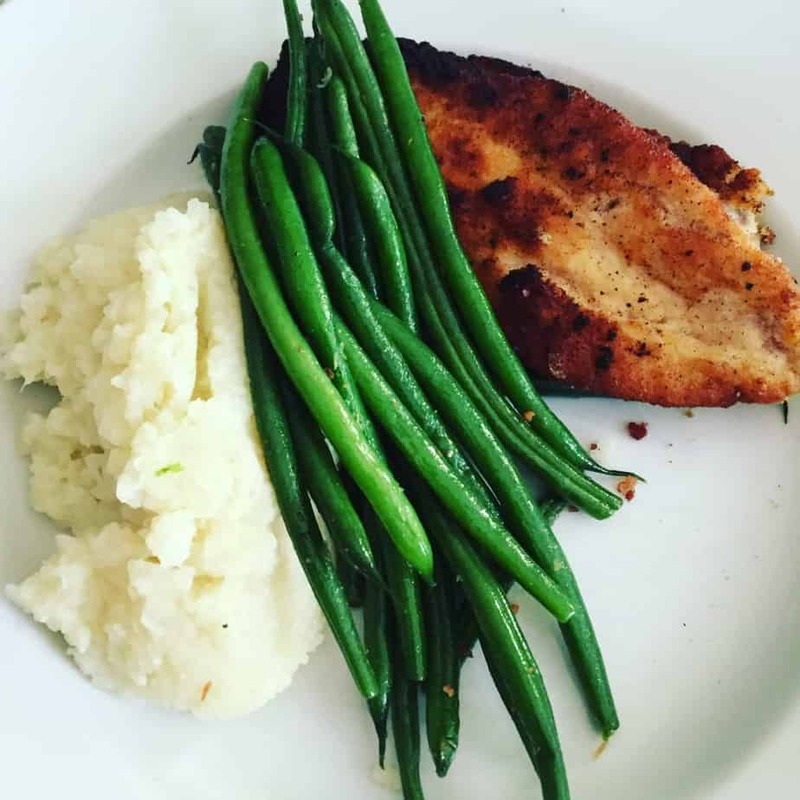 Changing my autoimmune diet has made all the difference in my autoimmune symptoms. My disease activity is minimal, I have very little inflammation, and my energy levels are back close to where they were pre-diagnosis: I can actually work out again. Because of this, I thought it might be helpful to show you what a typical day on my autoimmune diet looks like. You’ll see how easy it is to follow a grain, gluten, refined sugar, and low dairy diet without losing your mind in the process. 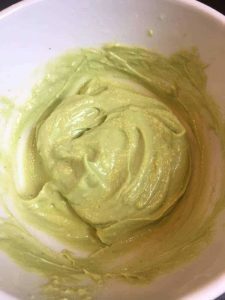 Through this post and others, I’ll show you how I make following my autoimmune diet for symptom relief doable. This is real life, after all. I am busy, a little lazy, frequently exhausted at the end of a long workday, and very human, so I eat many of the same foods repeatedly. I do this to simplify my life and because I have many food sensitivities; on my autoimmune diet I eat what I know will not increase inflammation and other autoimmune symptoms. Also, I am not a food blogger and my food is shown “as is” on this blog, meaning there is no fancy plating going on around here. Well, sometimes I attempt it- but you will see what I mean. HA! Almost every weekday for the past two years I’ve started my morning with a shake. I start with coconut milk and/ or sugar-free almond butter and a frozen banana or berries, but I ALWAYS add chocolate Shakeology and collagen powder. Some might tire of a breakfast routine like this, but on my autoimmune diet, I have come to rely on simplified menus and routines as a way to better manage my disease activity. I love starting my day with something so healthy and simple. 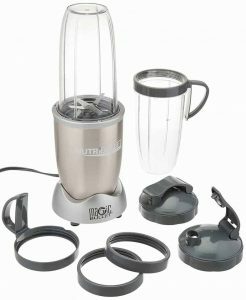 I never have to think about breakfast, it takes about 30 seconds to whip up in the NutriBullet, and I drink it in the car on my way to work each day. The fact that it’s crazy delicious makes me pretty darn happy, too. 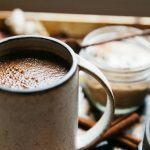 I also always have a cup of organic coffee with coconut or almond creamer or Nutpods when I have it and sometimes a drop of liquid stevia (chocolate is my favorite!). I am an addict, for sure. On the weekends I eat later and have brunch instead. Eggs with bacon or quiche made with an almond flour crust are favorites. I make sure to drink lots of lemon water throughout the day because I never drink enough during the week. This is something I am working on, for sure! Some people’s autoimmune symptoms are aggravated by eggs. I eliminated them while on AIP and am happy I am able to tolerate them and have them as part of my autoimmune diet. Lunch is almost always leftovers, a salad, or leftovers and a salad. It rarely changes because I am not one to prepare a new meal at lunchtime, and during the school year I pack my lunch every day (actually my husband packs it for me because he’s awesome like that) so it needs to be something quick. I actually work leftovers into my weekly meal planning for this purpose. One of my favorite salads is simply two handfuls of baby spinach, a few chopped strawberries, a handful of roasted pumpkin seeds, and a simple balsamic vinaigrette. On the day I took this photo I was out of pumpkin seeds, so I just went with the berries and spinach. Sweet Potatoes and steak are two of the foods we eat often. I usually roast the sweet potatoes and anything we can grill is also a go-to especially for the summer months. 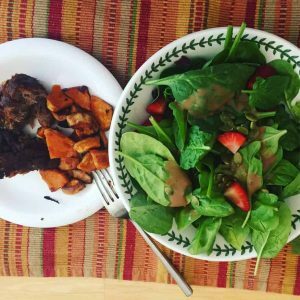 Sometimes I just skip sweet potatoes and toss the steak right on my salad! Voila! A perfect lunch crafted from leftovers. Because who doesn’t need a few snacks from time to time? I love snacks and I have a sweet tooth. This is tough when trying to avoid refined and artificial sugars. 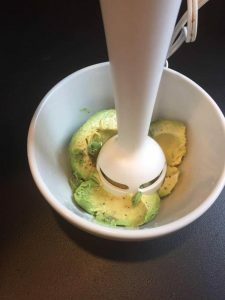 I love hard boiled eggs, beef jerky, a handful of almonds and almond butter with celery or an apple will sometimes work their way into the mix when I am especially hungry. I also keep RX BARS on hand for emergencies. They are delicious. RXBAR makes whole food protein bars with simple, all-natural ingredients. Dinner usually consists of a high-quality protein and plenty of vegetables. The grill and Instant Pot are my best friends. Cauliflower is a frequent flyer because I could eat mashed cauliflower every day! I also try to eat as many green vegetables as possible. green beans, zucchini, broccoli, and brussels sprouts (roasted only) are the usual picks. We use leftover veggies in a frittata. A big slice of frittata with a salad is one of my favorite lunches. I like to prep more than I need each time to make dinner time easier during the week. A typical dinner for us: grilled steak, sauteed zucchini and mushrooms, and mashed cauliflower. I cannot think of a better dessert than fresh berries topped with coconut whipped cream (I use this). It’s simple and satisfying. I try to stick to organic for the Dirty Dozen whenever possible, but I don’t obsess about it. I just wash everything really, really well. We do our best, but we aren’t perfect by any means. So, as you can see, if you keep it simple, following a Paleo-friendly diet can be quite doable, not to mention beneficial. I hope you will give it try if you’ve been thinking about it.